This weekend was amazing. First, I finished my last MBA class at Kellogg on Thursday, which meant that it was the first official weekend after grad school. (Ok, technically I have one last homework assignment due, but I just ignored that small detail for the weekend ). Waking up on Friday morning actually felt different. It was like a voice woke me up saying: "You have arrived." Arrived at my arguably biggest goal yet in life. And it felt pretty amazing. On Friday evening, one of my Bridesmaids arrived in town from Colorado. After having not seen each other for 2 years (how did that happen?? ), we caught up and ate a 10pm dinner at my favorite local spot, Frasca. Saturday was epic. First thing in the morning, I go to my bridal hair trial, and walk out feeling like I just stepped into the 40s - exactly what I ordered. Amazing. Feeling great. Running late to the bridal shower had me stressing a bit, but when I walked in the room, I was greeted by the smiling faces of everyone I love and a round of applause and cheers. My mom put on an amazing shower - no games or present unwrapping - so we all got to mingle and eat delicious food. That evening was the bachelorette party and I have the BEST MOH in the world. Planning the whole thing from out of state, we wined and dined at D.O.C Wine Bar, with some seriously mouth watering eats. The menu's even were personalized with my name on it. So, I'm basically a celebrity at this point. At the bachelorette dinner - my favorite thing - food and wine!! 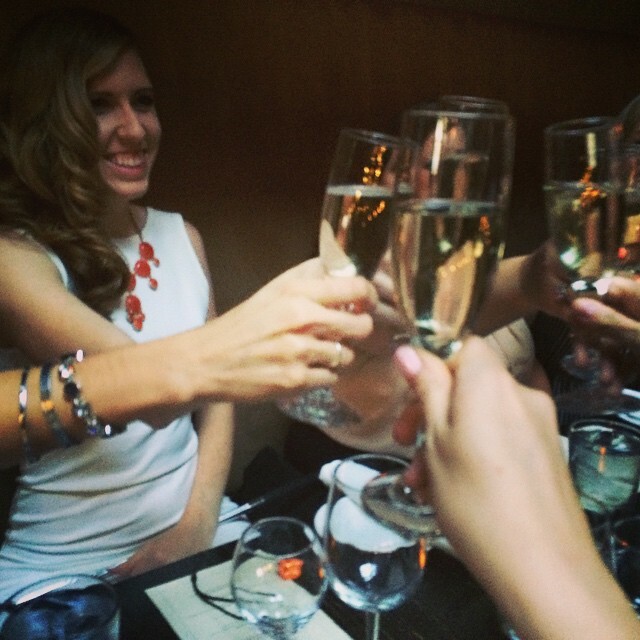 On Sunday morning, a bunch of us girls from the Bachelorette party met up at Frasca (ya, that's twice in one weekend. major score.) for a brunch that rivaled the cuisine of friday and saturday. We sat outside on the patio enjoying a small breeze and 70-degree weather, and laughed about the funny stories from the previous night. Sunday afternoon/evening rounded out the whole weekend by soaking it all in to the tune of a rainstorm with the windows open. Wedding Weekend on Whidbey Island!